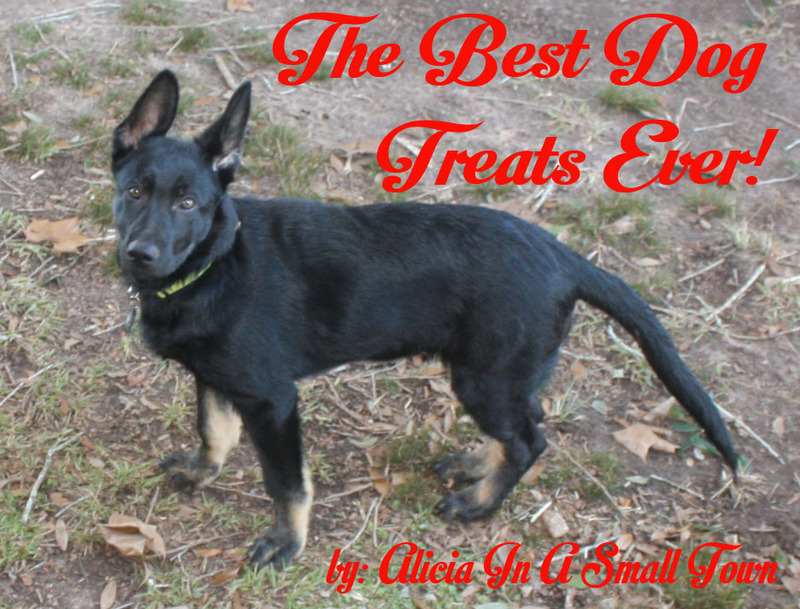 The Best Dog Treats Ever! After I got Trigger, I went on a search for the best dog treats for not just him, but for any dog. I do believe that after a lot of research, I have FINALLY found them! Welcome back to another wonderful dog day! Today we are going to discuss feeding your new puppy. 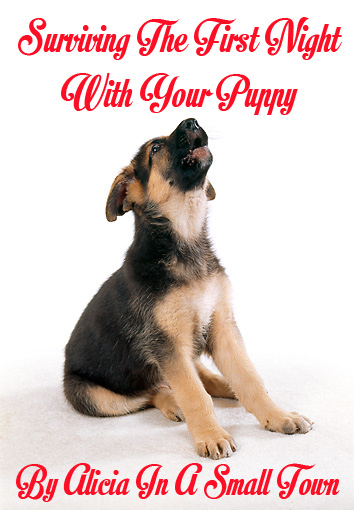 This will involve everything from what to feed him, to a feeding schedule, and even your new puppy’s nutrition. 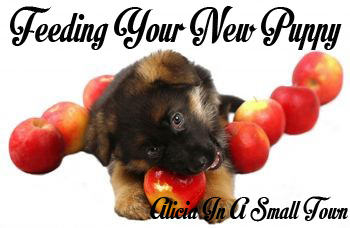 Last week we discussed anything and everything you could possibly need for your new puppy. Now that we’ve got that out of the way, how about we discuss surviving the first night with your puppy! If possible, you should let your puppy sleep in your bedroom to reduce the chances of whining or crying at night. Also, the constant contact throughout the night will help your puppy adjust to you and establish you as pack leader. One note of caution: Don’t let the puppy sleep in the bed with you. He’ll eventually expect to be allowed in the bed, and it can lead to numerous behavioral problems as your puppy grows. Although, I’ll be honest with you, I currently fight one dog and four cats for a spot in my bed, so I probably should have taken my own advice a lot sooner. If you or the breeder have started crate training, you should put the crate in your room and use that to confine him while he sleeps. Puppies usually won’t soil the area where they sleep, but if he has the opportunity to wander he may get up and go during the night. If you have multiple pets in your house, it is important to NOT let the puppy sleep with the other pets until they are properly acquainted. Congratulations on surviving the first night with your puppy! Now, get up right away and take your puppy outside to his soiling area. Carry him. Don’t let him walk there or he may be tempted to go before he gets outside. Let him empty everything out, and praise him when he’s finished. I hope this has helped you with surviving the first night with your puppy! 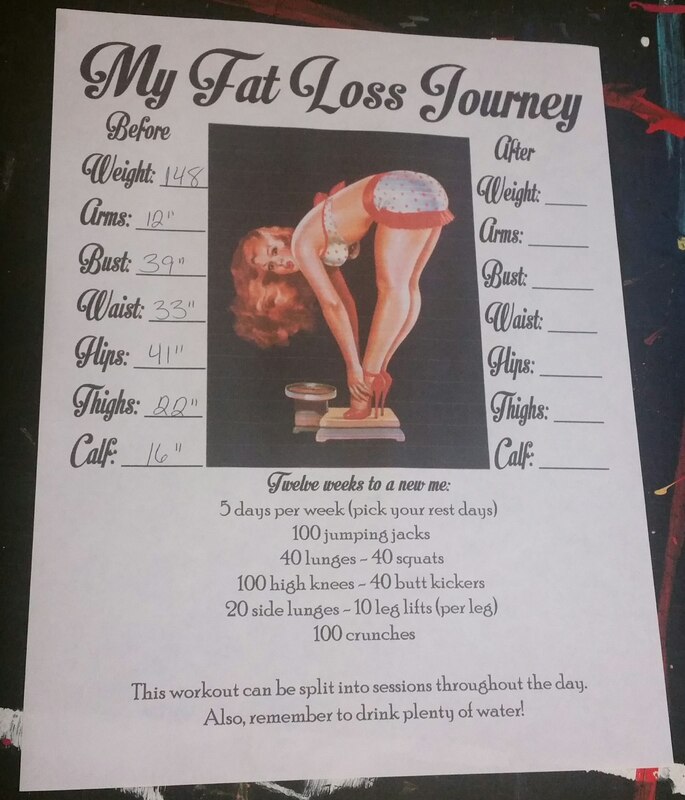 If you can think of any additional tips, please comment below or email me at aliciainasmalltown@gmail.com! So, I can’t lie to you. It’s been a rough week. Getting back into the work/school routine has been less than fun… And I didn’t play the Power Ball, so I have no chance of having won and not going back. 😉 Don’t get me wrong, I love my job, but we came back to school to find that two of my favorite students were transferring to different schools… It took everything in me to not cry at school. As you can see, Trigger loves when I come home from work! 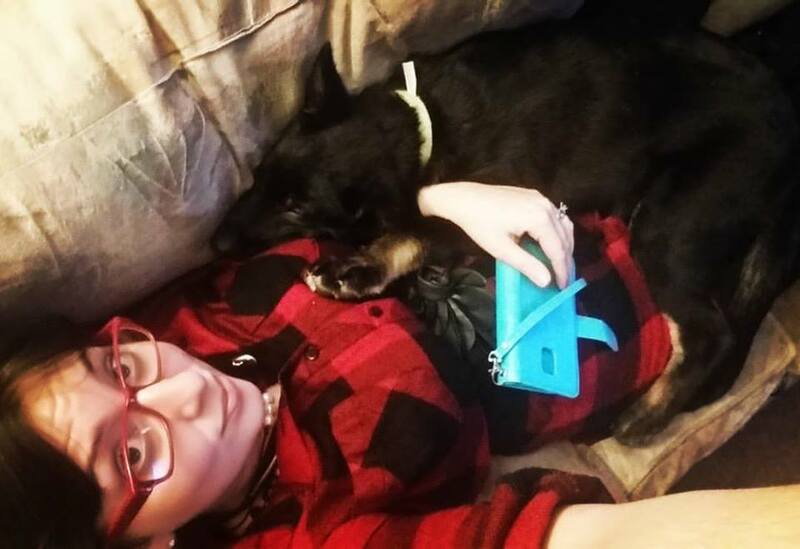 He laid on me and wouldn’t let me up when I got home from work! As you can see in the photo above, I have a brand new phone case. It is AMAZING! I have to have a wallet phone case, because I am constantly forgetting my driver’s license and debit card in either my purse or yesterday’s blue jeans, so this one is kinda perfect. What makes it completely perfect is that it has a removable magnetic case for your phone. It also has three separate slots for cash, receipts, and whatever other loose papers that you may have. We’ve had so much rain these last few weeks that I’ve been desperately needing rain boots (especially when my front yard turned into a pond!). I searched and searched, and finally found these cute and affordable ones! They are available in several different prints, but I got these black ones with white polka dots with the intentions of adding my monogram in red. I’ll have to update the photos when I finally get a few minutes to add the monogram. Well, until next time! I hope you’re all joining me tomorrow for week 2 of our 52 week home organization challenge! Long before I knew I was getting Trigger, I started looking into DIY dog toys… Mostly because we do have Izzy, and I have been trying to win her over for over a year now (I’d like to report that I think it’s working too!). Anywho, with my research, I found a way to make DIY dog rope toys that are absolutely awesome, mostly because the dogs LOVE them, but also because they are virtually free to make! 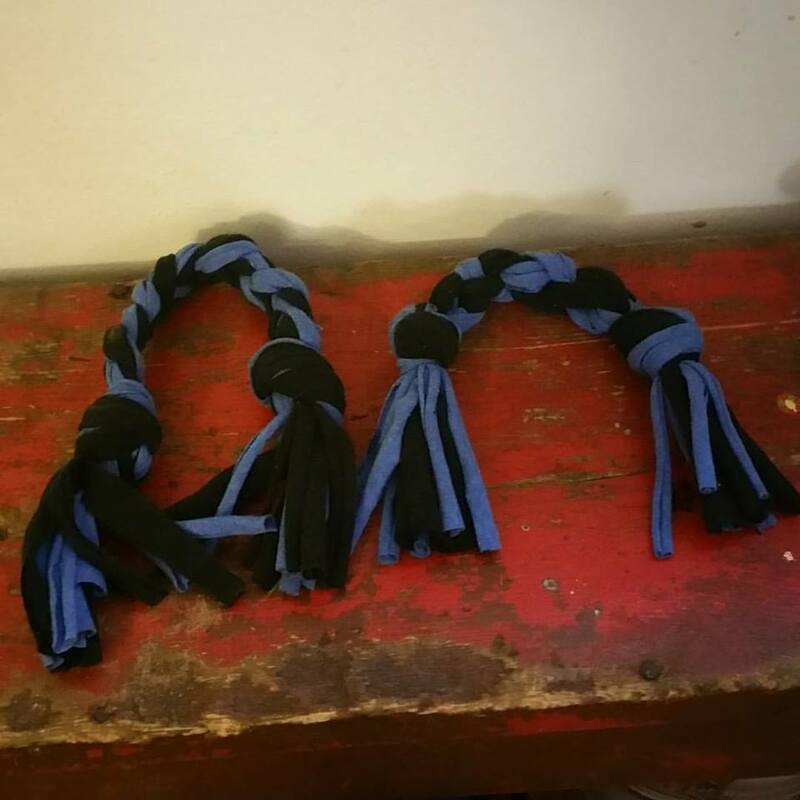 So, how do you make DIY dog rope toys for free? By re-purposing old t-shirts! That’s right, we’re making these dog rope toys out of t-shirts. Let’s start first by making t-shirt yarn. I love this tutorial! You can make the toys out of just one color, but I like making them colorful with at least 3 colors or more (which means finding several t-shirts that you don’t need anymore, so you’ll be doing yourself a service by cleaning out your closet!). Now comes the even more fun part! It’s time to make the DIY dog rope toys! Take your t-shirt yarn, in the colors of your choosing (here’s a hint: your dog won’t care what colors you choose, but you will!) and lay it out. Now, you’ll want to cut your t-shirt yarn into strands that are about five feet each. I use double the length of my arm to judge the length. Now, how many strands you use for your DIY rope toy will depend on the size of your dog. You can make them with as few as 12 strands, but I prefer to make them nice and thick with 24 strands. After you have the amount of strands cut that you feel are appropriate, grab all of your strands together and tie them in a knot about 2-3 inches from the end. Once you’ve done this, you’ll separate your strands out into 3 equal bunches, and start making your DIY rope toy with a simply braid. When you’ve reached your desired length, you’ll simply tie it off and trim the edges. I’ve made these toys in various lengths, so that Izzy and Trigger can play with them alone, or have a fun match of tug of war with them. These DIY dog rope toys have been a HUGE hit at our house, and I’m sure that they will be at yours too!